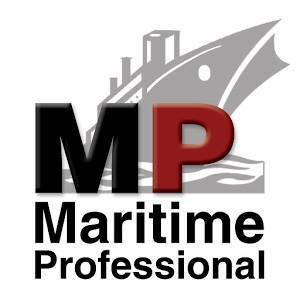 Maritime Logistics Professional is a unique global business resource, specifically tailored for the growing global network of marine researchers, professionals and executives. Take advantage of both online information and the print publication, in one application. Get instant updates on shipbuilding, contracts, technology, legal issues, and business innovations- organized for mobile users. Customize your information by choosing one or more categories: People & Company News, Shipbuilding, Offshore, Finance, Government Update, Education/Training, Casualties, and Logistics. One touch brings you the latest business news- and check out the blogs for insightful commentary from industry experts and analysts. The application also offers users full access to the print publication archives of Maritime Logistics Professional Magazine, with in-depth articles, interviews, and features in a simple, legible format. Published since 2011, Maritime Logistics Professional Magazine is a quarterly publication offering detailed business analysis. Managing Editor Joseph Keefe leads a global network of reporters; from Hong Kong to Mumbai to Rio, and throughout North America. Keefe brings more than thirty years of experience as a professional mariner, maritime consultant, publication editor, and respected industry journalist, and has made contributions on a wide variety of energy and marine transportation subjects, at sea and ashore. The Maritime Logistics Professional app is developed and maintained by Maritime Activity Reports, the publishers of Maritime Reporter and Engineering News, MarineNews, and Marine Technology Reporter.